Rust. It ruins millions of dollars in metal parts every year. If it’s an issue in your company, Green Packaging Inc. has the answer. At Green Packaging, Inc. we are committed to helping you prevent rust and corrosion on your metal parts. As a matter of fact, “Protect Every Part” is our by-line. We recommend the use of Rust Guard Premium™ VCI products to prevent rust and corrosion on metal parts. Our VCI products utilize the latest state-of-the-art VCI Technology. Rust Guard Premium™ VCI products are the safest, cleanest, most effective VCI products on the market. They contain no heavy metals, no nitrites, and no amines. Rust Guard Premium™ VCI products are used extensively by metal parts manufacturers in many industries to prevent rust and corrosion for in-process parts, during transportation and shipment, and for periods of storage, both in your plant and in your customers’ plants. Green Packaging, Inc., the rust prevention specialists, helps metal parts manufacturers prevent rust and corrosion using best manufacturing processes combined with Rust Guard Premium™ VCI Technology. We believe that information is the key to your success. To that extent, our website includes resources to help you learn more about rust prevention and which products are right for your company. If you still have questions, our expert staff has the answers. We can help you eliminate your rust problems once and for all. Begin here by clicking any of the buttons below. Our “14 Rust Prevention Tips” document is an easy-to-use guide that can be posted in workstations throughout your plant. For more in-depth information, download our “Stop Rust Now” Kit which includes more extensive information, including white papers and an e-book that will answer all of your rust prevention questions. If you would like to schedule a FREE 15-minute telephone consultation or an on-site consultation, click on the “Schedule a Consultation” button. If you are ready for pricing, click on the “Request a Quote” button, and for more personal answers to your questions, click on the “Contact Us Now” button. When you need pricing for stock or custom VCI products, you can’t wait around for hours or even days for the answers. Most VCI companies take 24 hours or more to prepare quotes. At Green Packaging, Inc., we offer our customers the quickest quotes in the industry. For quotes on VCI packaging products in minutes, trust the anti-corrosion experts at Green Packaging, Inc. to deliver on time. You can measure our quote response time with a stopwatch, not a calendar. 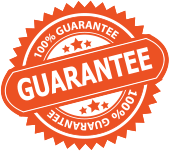 Receive your quote for stock or custom VCI products within 30 minutes of your request, or we will give you $100.00 off your order*! *Quote Requests must be received during normal business hours 9 a.m. to 4 p.m. Eastern Monday through Friday, excluding Holidays. No more than 2 items per quote. 97% of our stock orders are shipped the same day. Green Packaging, Inc. has more sizes and products in stock than any other VCI company. Never worry about running out of VCI packaging to ship your metal parts rust-free. We’ll even monitor your inventory for you and provide proactive inventory alerts with our Evergreen Program. Same day shipping is just one more reason why Green Packaging, Inc. is the obvious choice for all of your rust preventative VCI packaging requirements. For more than ten years, we’ve been one of the most trusted names in anti-corrosion supplies. With rust-preventative packaging products like VCI bags and VCI paper, foundries and other businesses in the metalworking industry rely on our products to get the job done. More than VCI paper, VCI emitters, VCI foam, VCI wire and bags, we carry a litany of other products necessary for working with metal including our water-based rust preventative and rust remover for metal. More than a VCI film manufacturer, we work with the companies and businesses that order our products to ensure that they always have the supply they need to adequately pack and ship their products. Green Packaging Inc., brings anti-corrosion packaging into the 21st century by offering affordable, smart products and service that keeps manufacturers doing what they do best while we handle the rest. Contact us to receive a free quote on anti-corrosion packaging supplies for sale or sign up for our newsletter below to learn more about how you can prevent rust and corrosion on your valuable metal parts.